According to the American Heart Association, heart disease is the number one cause of death in the United States, for women as well as men. However, there are many things people don’t know about heart disease. There are different forms of the disease, which include coronary artery disease (CAD), high blood pressure, atherosclerosis, heart failure, and heart attacks. To help increase awareness about the dangers of heart disease, there has been a big push in recent years to improve heart-healthy behavior. This advice usually emphasizes lifestyle changes to improve, decreased cholesterol levels, increased exercise, maintaining a healthy body weight, and avoiding cigarette smoking. These efforts at educating all of us have resulted in a steady decrease in the rate of death from heart disease for men. Unfortunately, the same can’t be said for women. So what’s happening here? Part of the problem, says the National Institutes of Health, is that risks for, symptoms of, and responses to heart and cardiovascular disease for women can vary significantly from those of men. Women’s symptoms tend to be more subtle and less predictable. Women also tend to underestimate the danger of cardiovascular disease. This means they may not take preventive measures, pay attention to warning signs (if they even know what the warning signs are! ), or get treatment for symptoms. In a survey conducted by researchers involving women who had experienced a heart attack, less than a third reported any early warning signs involving chest pain or discomfort. Acute symptoms experienced during the attack included shortness of breath, weakness, fatigue, cold sweats, and dizziness. In contrast to most men, fewer than half of these women reported some degree of pressure, pain or tightness of the chest during the critical time of attack onset. The problem here is that symptoms of heart disease for women — such as tiredness or trouble sleeping — mirror the symptoms of many other health problems. The solution seems to be to go for regular checkups. 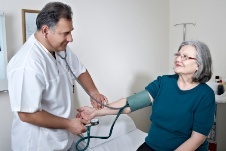 Get your blood pressure, cholesterol, blood sugar, and other heart measures checked regularly. Don’t pass up on the chance to get these tests done and help prevent symptoms escalating to the point of a heart attack.